Many first-timers are asking us to help them planning a Bangkok itinerary, Here ume travel advisors list the ultimate travel guide to Bangkok for your first time in Bangkok: what to do and where to stay. 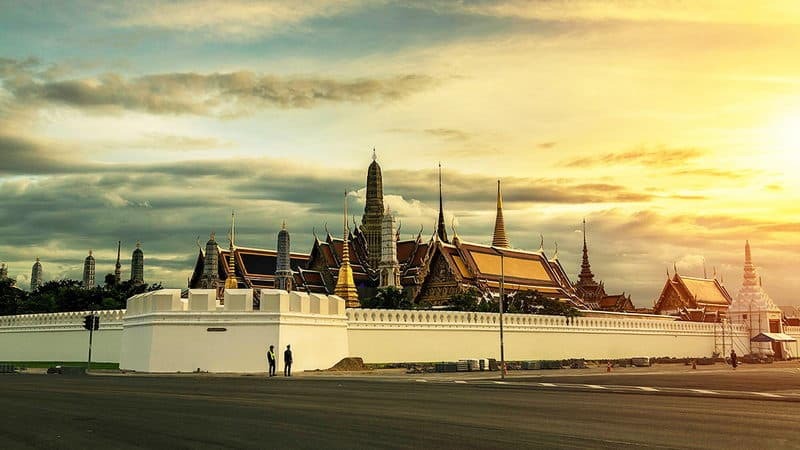 Wat Phra Kaew & Grand Palace are a logical starting point for your visit. Together with the enormous reclining Buddha at Wat Pho, they comprise some of the city's most important and most-visited sights. Cross Mae Nam Chao Phraya (the Chao Phraya River) to Thonburi to visit Wat Arun, one of the only Buddhist temple sights in Thailand that visitors are allowed to climb on. 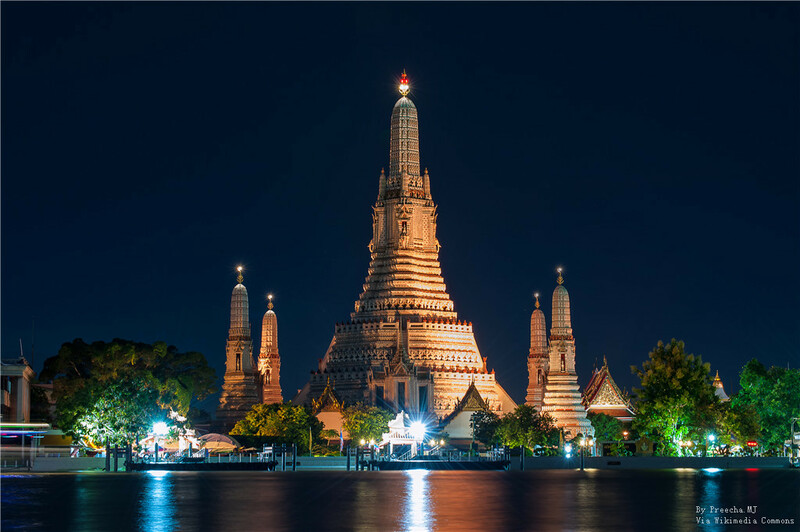 The impressive silhouette of Wat Arun's towering spires is one of the most recognised in Southeast Asia. Constructed during the first half of the 19th century in the ancient Khmer style, the stupa showcasing ornate floral pattern decked out in glazed porcelain is stunning up close. Apart from its beauty, Wat Arun symbolises the birth of the Rattanakosin Period and the founding of the new capital after Ayutthaya fell. One of the most scenic areas, the riverside reflects a constantly changing scene day and night: water-taxis and heavily laden rice barges chugging upstream, set against a backdrop of glittering temples and luxury hotels. 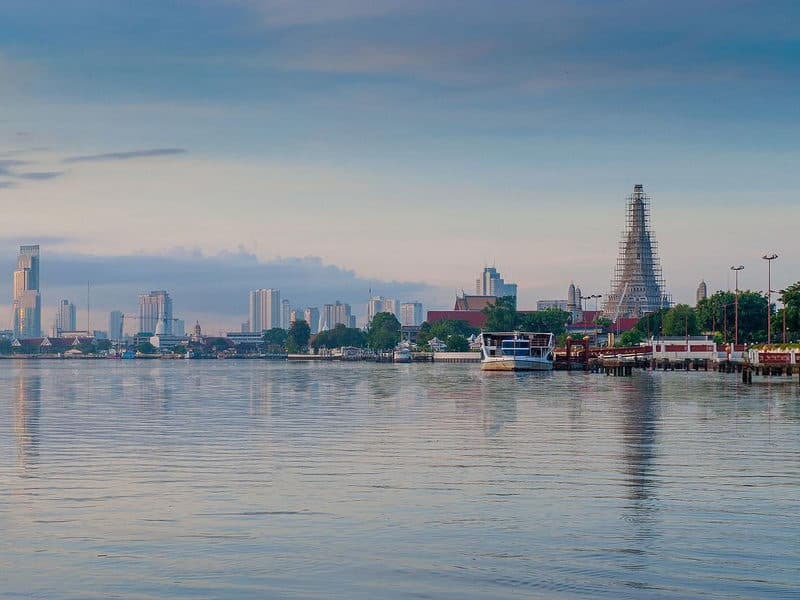 The areas from Wat Arun to Phra Sumeru Fortress are home to some of the oldest settlements in Bangkok, particularly Bangkok Noi and its charming ambience of stilt houses flanking the complex waterways. Although generations removed from the mainland, Bangkok's Chinatown could be a bosom buddy of any Chinese city. The streets are crammed with vendors, gaudy yellow-gold and jade shops, and flashing neon signs in Chinese characters. With this over-the-top vibe, it's hardly a surprise that Chinatown's own Wat Traimit is home to the world's largest solid-gold Buddha statue. And with so much life on the streets, open-air restaurants such as Nai Mong Hoi Thot and the famous Th Phadungdao Seafood Stalls make Chinatown Bangkok's best 'hood for street food feast. 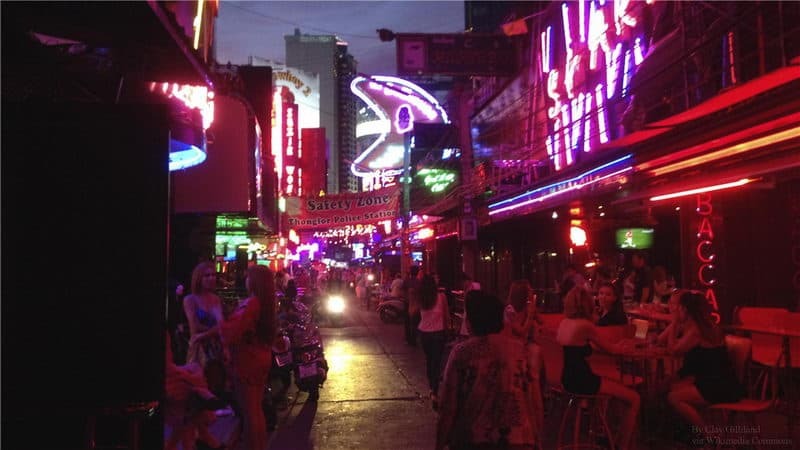 Soi Cowboy was named after the cowboy hat-wearing African-American who opened the first bar here in the early 1970s. This adult-themed district has a more laid-back, carnival-like feel to it than Patpong or Nana Plaza. Flashing neon lights up a colourful streetscape comprised mainly of middle-aged expats, Japanese and western tourists. 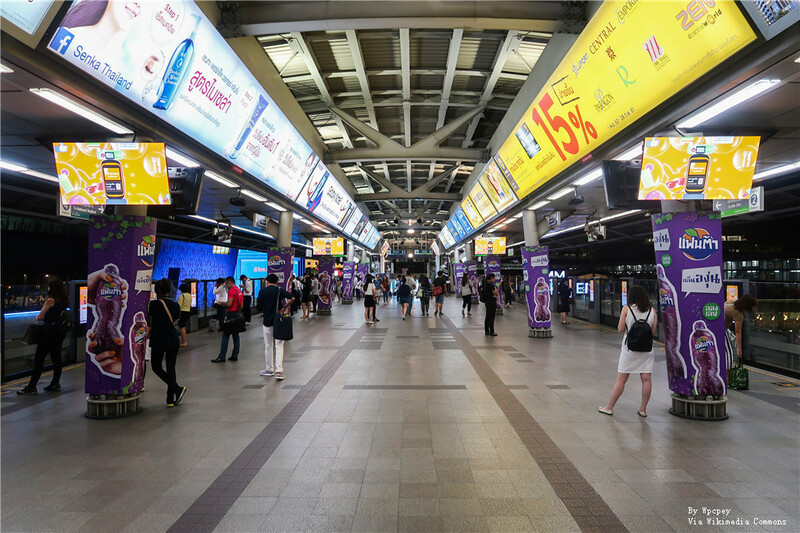 Bangkok is a shopper's heaven, with a huge selection of shopping malls offering everything from cheap clothing and trinkets to designer fashion. See our separate guide to Bangkok Shopping Malls if you want comprehensive info. Good shopping locations include Siam Paragon, the MBK Centre, Central World and the recently finished Central Embassy. While there aren't any floating markets within Bangkok itself, two are within easy reach of the city. 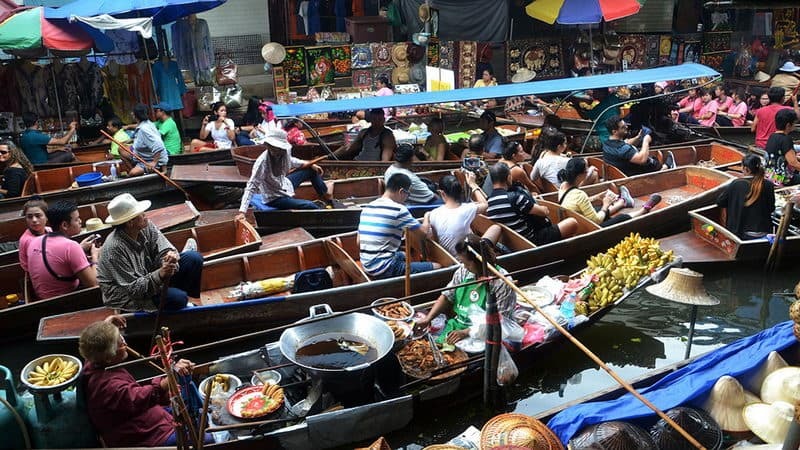 Damnoen Saduak is Bangkok's most popular floating market, while Amphawa Floating Market is a more popular day trip and weekend break destination for Thais. An early morning start is worth it to avoid the heat and catch the market at its liveliest. Asiatique has successfully combined two of the most popular shopping experiences in the city: a night bazaar and a mall. The market has over 1,500 boutiques and 40 restaurants housed under a huge replica warehouse complex. Shows are performed nightly: Calypso ladyboy cabaret and soon, a classic Thai puppets performance. Chatuchak Market, which is open on Saturday and Sunday, is home to over 8,000 different shops selling every imaginable product. 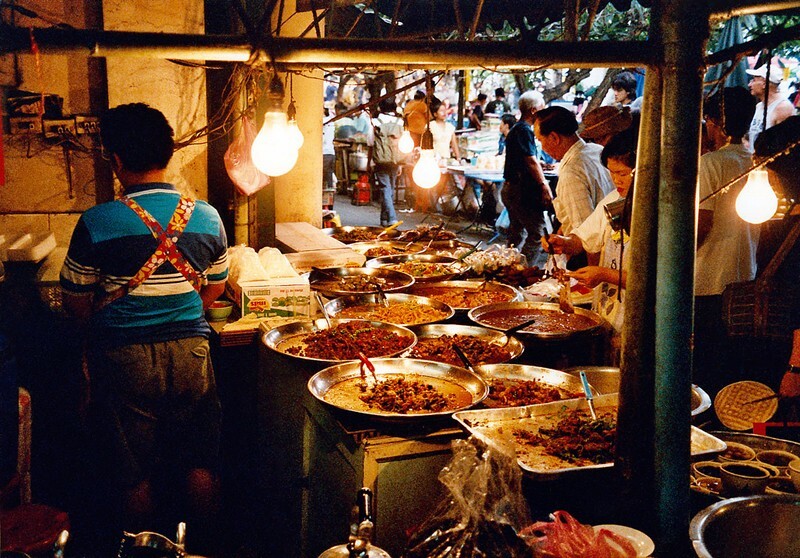 Other good markets include Banglamphu Market, which is a short walk from the Khao San Road area, and Rod Fai Market. 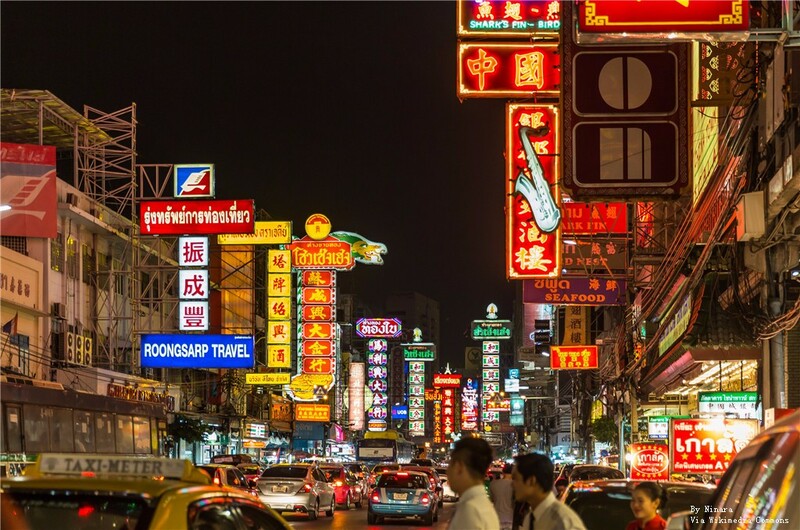 Bangkok is famous – in some cases, infamous – for its nightlife, which ranges from roadside stalls and VW vans converted into bars to gigantic nightclubs. Good nightlife hotspots include Sukhumvit Soi 11, Royal City Avenue, Thonglor and Khao San Road. Royal City Avenue – better known as 'RCA' – is where you'll find most Thais partying. Khao San Road is home to Bangkok's cheap and cheerful backpacker nightlife, while Thonglor is where the city's young and affluent spend their evenings. 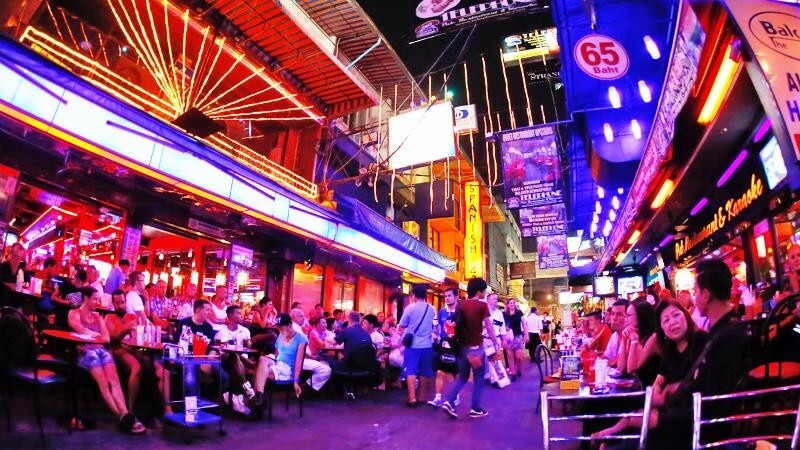 Bangkok's seedy nightlife is mostly clustered around Patpong in Silom — which doubles as a tourist-focused night market — and Soi Cowboy and Nana on Sukhumvit Road. You can find most of Bangkok's gay nightlife in the area around BTS Sala Daeng. The Skytrain (BTS) and underground (MRT) rail systems connect the airport, main shopping, entertainment and business areas of the city. Vending machines at the metro stations are user-friendly, as there is an English language option. River taxis and express boats can be used to explore many historic sites and attractions at the riverside. Taxis are cheap and appear on virtually every corner at almost any time. Once a big Bangkok attraction, are slowly disappearing in favour of more comfortable transport, but are still worth a ride at least once. 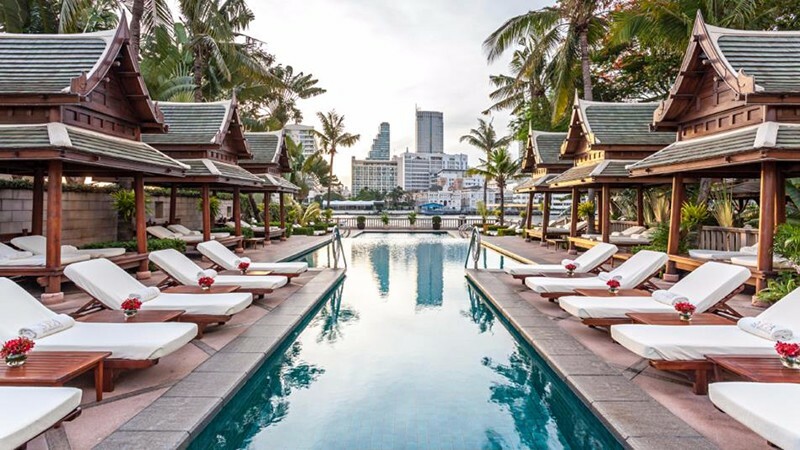 Bangkok hotels come in many sizes and appeal to all budgets so here we offer several ways to help you find which hotel in which area will best match your holiday or travel plans. Our 1st Time in Bangkok describes what each area is best known for, or you scan our many Top 10 Hotels pages to find which accommodation is best by location or by category: Best Family hotels, Best Hotel Discounts or even the Best Luxury Hotels – they're surprisingly affordable. Plus, don't miss our 'Best Service Apartments', probably the best value for money in Bangkok! Bangkok restaurants cater to all price ranges and are open all hours, proving that this city is certainly heaven for food lovers; a sensational culinary journey and taste experience await in Bangkok, guaranteed to delight your taste buds. Apart from renowned Thai cuisine with its blend of spicy, sour, sweet and salty, the array of options includes every other famous type of cuisine found in the world. Eating options are limitless, night or day. Great value-for-money food courts, riverside eateries, Thai-style dining in antique teak houses, dinner cruises, trendy restaurants and food markets are only some of the options available. Restaurants in Bangkok open at a lightning quick rate, so even vetrans of the dining scene in the Thai capital always have a new place to check out, and of course there are small family owned restaurants that you can stumble on and be blown away by the level of quality put into such seemingly simple food. It's certainly one of the highlights of a trip to Bangkok. 6. What Kind of Traveller are You? We truly believe this is the finest Bangkok travel guide online. But with so much content on our favourite city, it can be difficult to find exactly what you're looking for. That's why we made these specialized mini guides to suit different types of visitor. If you're looking for somewhere special to impress your new bride or a restaurant with a kids' menu, we have you covered. 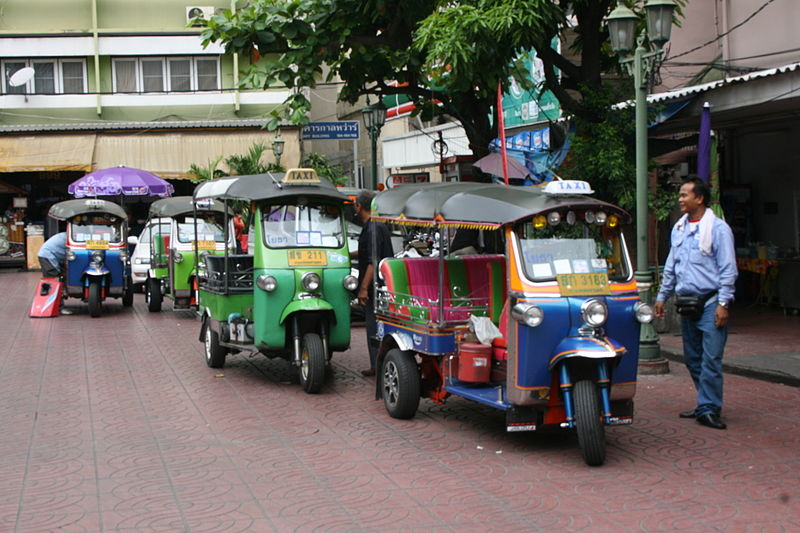 Bangkok is a fascinating destination for families. There is nowhere else in Southeast Asia that offers the same combination of exciting street life, dedicated family attractions and Big City convenience. 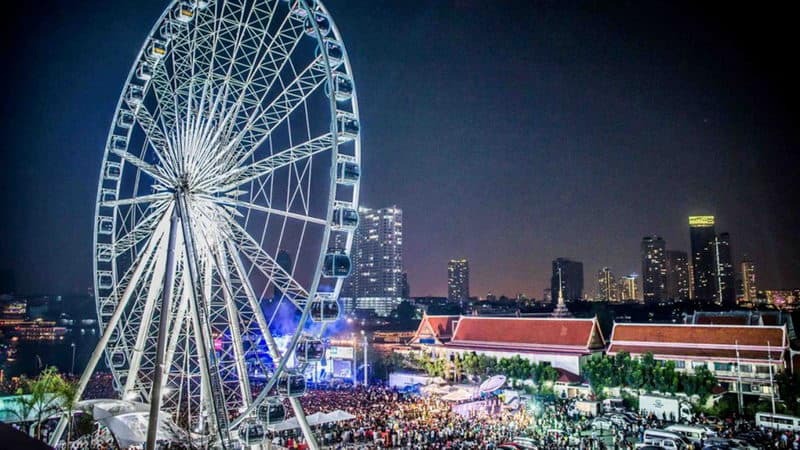 A visit to Bangkok will be one of memorable experiences and you will find a huge selection of things to see and do with you and your little ones. Young teens will find loads of cool things to do, and although it sounds surprising, even tiny tots are catered for due to the large amount of expat families who now call Bangkok home. If you're visiting Bangkok as a starry-eyed couple you will never be stuck for something to do. The city is like a giant playground just waiting to be explored, and while you won't find secluded strolls along sandy beaches in Bangkok, there's a host of special spots where you'll find romantic bliss for just the two of you. 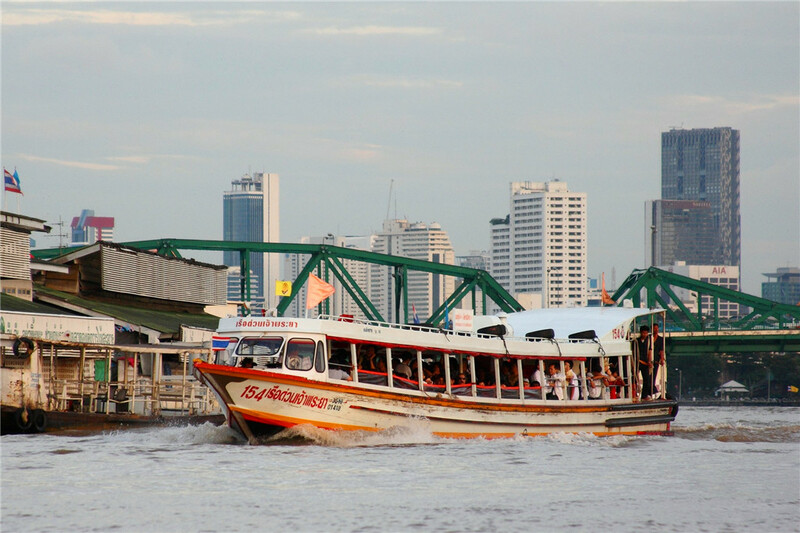 From beautiful resorts along the riverbanks, to sunset cruises and private tours, we think Bangkok will surprise you with the amount of fun, couples' attractions there are available here. This section gives you everything you will need to plan a special visit with you and your loved one, along with information for getting married in Bangkok (just in case your romantic holiday goes a little too well)!